The weather at the weekend was a welcome relief from the recent cold weather. Things are finally starting to grow. Lots of people have been busy on the site tending their own plot, helping others or cutting the grass. We have been donated two mowers so with the Association strimmer we have the tools to keep the grass under control. Thanks to everyone who has taken a turn with the mowers and strimmer. We have several plots available for immediate let. If you are interested ring 01827 873979. The committee met for the first time since the AGM on 15th April 2013. This was a closed meeting at which the committee dealt with routine matters. The next meeting will be an open meeting at which you are all welcome. Please put 17th May in your diary for the next meeting. The full minutes of the meeting are available if you wish to see them (ask Sylvia for a copy). Plot Fees/ Finance: Due to Ron’s accident, Sylvia has been collecting the plot fees. Of 31 plots, 25 have paid. We still plan to issue Membership Cards as proof of payment. So far this year we have paid the site Insurance and a water bill and we are awaiting a bill for the site rent. Unpaid Plot Fees: at the time of the meeting 6 tenants had not paid their fees nor contacted the Association to inform us of their intentions. This means there are 3 full plots and 3 half plots possibly vacant. Rents were due by 31st March. Letters were hand delivered to those that had not paid to advise that they had until 7th April to pay their fees or to contact a member of the committee. No responses were received so it was agreed further letters would be sent to advise that they had terminated their tenancies due to non-payment of rent. Final date of 25th April was to be given after which the plots would be re-let. . The plots are 10, 14, 15, 16 A, 17 A and 17 B. Vacant Plots: Plans for re-letting plots confirmed to be vacant were discussed. If anybody knows anyone interested in having a plot please encourage them to contact the committee. 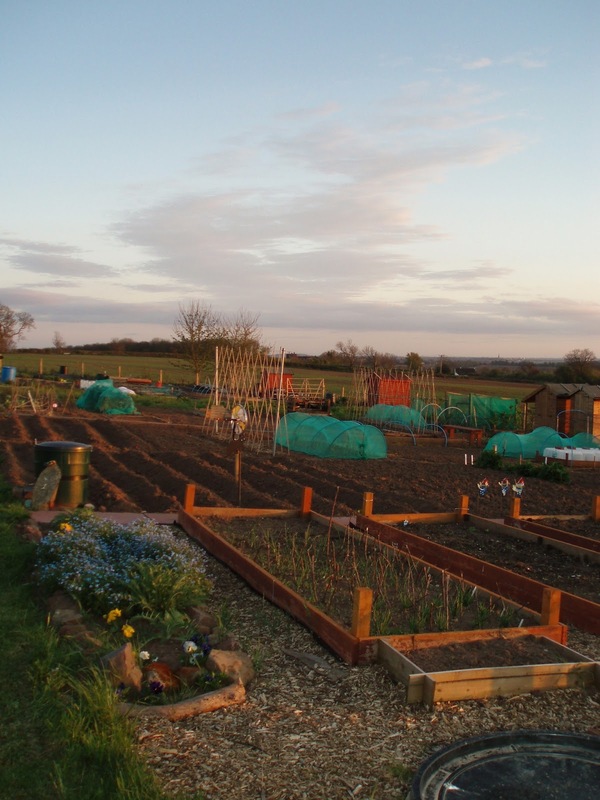 Membership of the National Allotment Association: All plot holders are to be signed up for another 12 months. Cost £2 per plot. (this is included in your rent so no further payment required). Committee will pay the fees of just the plots which are currently let. Temporary Roadway: It was agreed that the ‘temporary’ roadway running behind the top plots will now be closed. A proposal was also made to take plot 16 A (should it be confirmed to be vacant) out of use and to convert it into a turning place along the central driveway. The temporary road way will be closed off with posts and rails which can be removed for grass cutting etc. WATER: Repairs have been made to the burst pipes to enable water to be turned on. PLOT INSPECTIONS: Moved to the weekend after the Bank Holiday 11th May 2013. HEDGE: Extra saplings have been planted to replace spaces. Sue has the remainder to nurture on. GRASS CUTTING: The committee is looking at alternatives for grass cutting following theft of lawn mower. If anyone has a mover or strimmer please try and bring it along to the working party. LOCK: David Williams is looking into costs of changing the current lock to a combination lock. TURNING POINT: creation of turning point on central roadway. It was decided to have another working party 10 am Saturday 18th May 2013 please try and come along to help keep the site tidy and tackle some of these jobs. Date of Next Meeting: This will be an open meeting on Friday 17th May 2013 at 7pm.